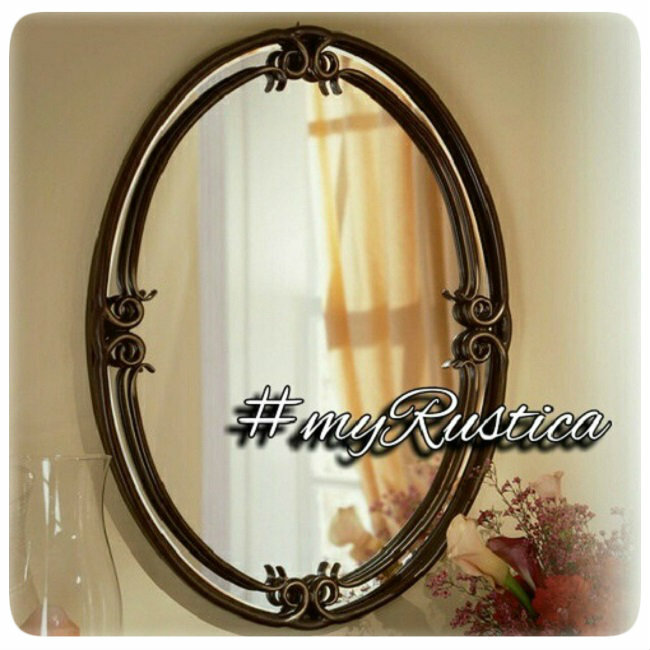 Rustica House iron mirrors include modern and traditional designs. While contemporary mirror models are quite simple in their pattern, traditional frames are very decorative. They include Spanish, hacienda, Mexican, victorian and French styles. Our iron mirrors are handmade of forged wrought iron for bedroom vanity, foyer and living room wall. Iron mirrors can be supplied in natural color which looks kind of industrial adding some modernity to otherwise rustic character, painted black iron and oxidized. We produce our round, square and rectangular frame iron mirrors in standard and made to order dimensions. Delivery including custom production takes more less four weeks.